I accidentally found this book, wasn't even looking for it, but I'm so glad I did. Really fascinating and well researched book on the early piano scene. Like boots on the ground. Bit of modern luck, the author kept referring to pieces of music that have been "lost" because the reader will never hear them again performed. Enter Spotify - a dream for classical music lovers. Every obscure piece that he described was on there and I was able to just call it up and listen as he did his description. I've already passed this book on to my friend for reading. Really great. A superb work of art on the history of piano players for the past 300 years. 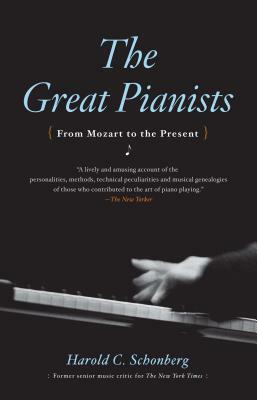 Thoughtful and personal delving into the lives of all the great pianists. My third reading of this work and relishing more and more appreciating these masters.